Mac OS X Leopard: some other applications that Apple and how they function with the new OS? This is the final in a 3-part overview of Apple’s new operating system. In this last part, he looks at some of the other applications that Apple encourage us to use with (or are designed for) Leopard, as well as some other applications and how they function with the new OS, before giving his final thoughts on the hot new operating system. Theapps that come with Leopard all work fine as you could imagine. Some do havesome odd quirks but the real teller is how do other apps work with Leopard? iPhoto works as well as it did on Tiger only more responsively. It may still take a	while to boot up if you have a huge library but it is still far from a slouch. I’ve yet to encounter any problems with it but considering that it worked fine in	Tiger and clearly has been designed with Leopard in mind, I don’t think you’ll have many problems with it. Okay, so this is Apple’s most controversial application ever but like it or loath it, iMovie runs very well and even seems to process videos much better than on Tiger. Once again it is clearly designed with Leopard in mind. I use iWeb a lot because it’s what I use to develop my own site. To date I am yet	to encounter any problems. It seems to run so much quicker and definitely loads quicker and considering my	site is around 220Mb that can only be a good thing. Like	all the iLife apps it’s definitely designed with Leopard in mind. I haven’t used it much yet but it seems to work quite well. At the risk of sounding like a stuck record I simply couldn’t get this to fall over. It’s pretty much a given that the whole iLife package was designed for Leopard and	it does seem to make use of Core Animation and the like to make it then work smarter and faster and in real time in most cases. This	whole review was written using Pages on Leopard. It performs very well, smoothly, and I have yet to suffer any form of lag. I’ve got it running in a separate space along with iTunes, Mail, Safari and with	thumbnails and Inspector turned on. It hasn’t faulted once. Note from Phil – I wish it had a "Save as HTML" option though. I have to take Darryn’s Pages documents, export them to Word and then save those as HTML pages, before using Dreamweaver’s "Clean up Word" feature….yuck!! Reply from Darryn – That was something I was not aware of. The previous version did indeed have the option to export to HTML but that seems to have been removed. The closest it comes is Export to iWeb. I use Numbers a lot, probably more than I use Pages and it hasn’t crashed or	performed oddly yet. Like	Pages I’ve got it running using a number of open apps as well and it performs	flawlessly. I don’t really use Keynote but I did fire up a couple of Power Point presentations that were e-mailed around work and it played nice with them. I performed some basic edits to the sheet and it seems pretty slick. When I did an "Archive and Install" the application kept quitting with an error	about internal drivers. Doing a fresh install saw it work flawlessly. I’m using a Boot Camp partition and it definitely has a smoother and quicker feel than before. Crashed. Would not rip DVDs. I’m not sure if this is due to the DVDs being protected or not, but despite it’s claims of working under Leopard it doesn’t appear to. Major lag that makes Gimp unusable. Dragging the mouse around moves the cursor about 2 seconds after. Update: Famous last words. After writing this part of the review I was using Pixelmator to play around with some ideas I had and whilst working away I would get regular crashes. There has just been an update released which has fixed this among other issues that I never encountered because I had not used them before. Once Palm Desktop is installed it syncs well. I don’t actually use Palm Desktop as such. Instead I use an iSync conduit to sync iCal with the T|X. Update: A weird issue has started happening since writing this review whereby by address book isn’t synching properly. It’s possibly due to the way that Address Book runs under Leopard but while it appeared to work it will no longer accept addresses I have recently added. Another reason why I think Apple should take over the synching to Palm devices because clearly Palm doesn’t care about the Mac as they stated a couple of years ago. Plays well, no slow down that I could see. Update: After writing this part of the review the developers released an update and the game plays even better. No problems whatsoever. Runs perfectly. Worked	well with no issues that I could see. Fink installed well although it needs to be done using Bootstrap which means you must install XCode. That being said you need XCode anyway. Because Fink doesn’t	yet have a Leopard compatible binary the Bootstrap process is needed to install	the package from source code. However, Fink Commander seems to work fine under Leopard so once installed and Fink has	self updated, Fink Commander can be used to install packages. Note that pretty much all the packages will need to be installed from source code though which isn’t necessarily a bad thing. All in all Mac OS X Leopard is a massive release with very few problems for most people. There are a select few people with problems but many have been caused	by 3rd party apps that haven’t been coded for Leopard such as the Blue Screen	of Death that some reported after doing an upgrade from Tiger with a dated Application Enhancer installed. 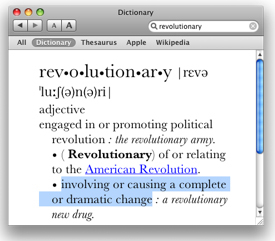 There are enough features like Time Machine, XCode and Mail to call Leopard a revolutionary OS because it invokes a complete or dramatic change in the way we do things. Time Machine certainly changes the way we do backups, XCode changes the way we develop	applications and Mail changes the way we interact with information. 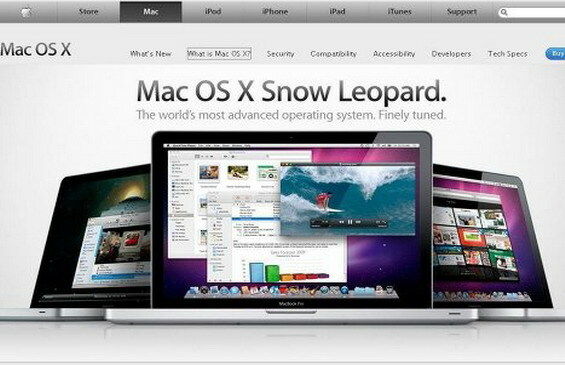 Leopard	is faster, more stable, more powerful and more simpler to use than any other version of Mac OS X. For $200 you simply can’t go wrong, especially when the only feature-for-feature comparative version of Windows is Vista Ultimate, which is	almost $1000. The price of Leopard is definitely right. If you meet the minimum specs I seriously think you should upgrade. It’s money	very well spent as I’ve hopefully highlighted.